This page provides solutions for consumers who have online payment problems. We provide alternative methods of payments for you to choose from. There was a time when paying for purchases online was limited to a credit card. 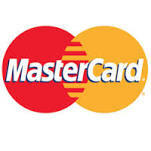 Now more and more web sites are also accepting debit cards. But this may not be the solution you are looking for. We accept credit and debit cards, prepaid cards, paypal, bitcoin and cash. Yes Cash. In the plastic world of today cash is still good! your behalf using our own credit cards and you decide how you want to pay us. Domestic Customers who do not have a social security number will have problems when applying for a credit or debit card or when opening a bank account. Using MoneyGram can be your solution. International Customers can experience problems with payment when buying from US websites. Solutions that apply to both US Domestic and International customers can be found below. Please note that prepaid cards are accepted and can be purchased worldwide but they must be issued by one of the above Credit or Debit Card providers such as Visa, MasterCard, Amex etc. etc. For our US Domestic Customers the most popular prepaid card is GreenDot which can be purchased at most convenience stores throughout the US. You can also use netSpend or RUSHCARD. ​Go to any one of these links to find out more but be advised that to buy prepaid cards in the US a social security number is usually required. For our International Customers Visa, Mastercard and Amex prepaid cards are available in most countries but generally only in three currencies: sterling (GBP), US dollars (USD) and euro (EUR). There are some out there that offer other currencies. Unfortunately everything comes with a price these days so watch out for fees. If you are using a prepaid card to pay for our services try and find one that will allow you to load US Dollars (USD) and you may save on foreign exchange rates or an 'out of currency fee'. If you don't have a social security number, then your alternative is MoneyGram. If you don't have a credit or debit card or a bank account you cannot send money on line. But you can go to one of their locations, fill in a form (simple I.D. required) and give them cash to send. ​It is easy and very safe and they have 339,000 money transfer agents all over the world, including 39,000 in the US. Yourwebpass does not use a traditional checkout seen on most websites. The reason being, we do not sell product we sell service. Product is easily displayed in a website store, but a service can have so many variables that are difficult to display. So we do not have a Store, Shopping Cart or Checkout. When customers use our service they receive an invoice by email. The invoice has a 'Pay Now' button that is linked to our payment service. When you place an order with us use either Buy and Ship Form or Ship Only Form. There is a box at the bottom of each form with a drop down selection for payment choice, Plastic, BitCoin, Cash or Paypal. That selection determines which invoice we send you. You can change it later but it does cause a slight delay in processing. Note: Our 'Pay Now' button on an email invoice is the same as a a 'Pay Now' button on a website checkout. ​You do not pay for a service before you have approved an invoice. Cash is good and for consumers who do not have plastic this is the way to go. ​Now you can purchase anything you want from any website. If cash is the only way for you to pay for online purchases then go for it. ​This is a very secure method of payment. Transfer only takes a few minutes. Before deciding to pay cash please take a moment to read our comments by clicking here for more information. Take note of scam alerts. If you have concerns about security click here for more information. You now have more payment options than other websites. If you had a payment problem before, now you have a solution.